Welcome to the website of Aves Press. 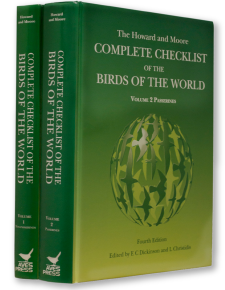 The two-volume 4th edition of the Howard and Moore Complete Checklist of the Birds of the World is made available through our distribution channel. In 2015 we celebrated 35 years since the first edition by Richard Howard and Alec Moore. 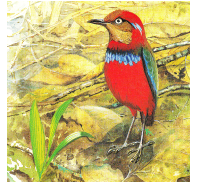 The 1980 first edition, published by OUP, ran to just over 700 pages and the world’s known avifauna was then assessed at about 8500 species. It broke new ground in being the first compact world checklist to list the subspecies, otherwise only made available in the volumes of the Peters Checklist (which was then still incomplete). The second edition, published by Academic Press, maintained the same style and despite just 34 new species being described in the interval the species count came in at just over 9200 due to changes in the recognition of species limits. 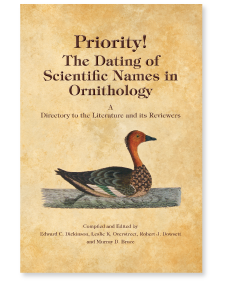 The 2003 third edition, edited by Edward Dickinson, brought significant change: the list sequence began to reflect the findings from studies of avian DNA, as illuminated by a chapter written by Joel Cracraft and his colleagues, and drew upon the expertise of regional consultants. 9723 species were recognised. In addition the list layout changed bringing more detailed range statements (although only promised for the Americas), thousands of footnotes explaining corrections and almost 3000 references in a work now 1039 pages long. All these changes led to excellent reviews. The 2 volume fourth edition (2013, 2014) built further on that success. Both the Non Passerine volume (4072 species), edited by Dickinson and Remsen, and the Passerine volume (6063 species), edited by Dickinson and Christidis, have introductory chapters by Cracraft which review the seismic changes in our understanding of avian relationships which DNA is revealing. As promised American range statements were strengthened and the needs for explanation of change led to over 8000 footnotes and over 5000 references (the latter, to save on printed pages, placed on accompanying CDs along with maps, a gazetteer and some of the appendices). The title The Howard and Moore Complete Checklist of the Birds of the World is now owned by a charity, the Trust for Avian Systematics, so that the death of an editor will not prevent further editions, and, despite the competition from the Internet, the Trust is committed to continuing in compliance with the ICZN’s definition of published. 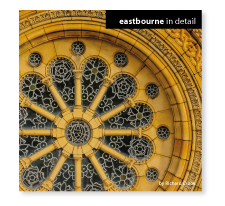 Next edition with will be edited by Les Christidis. Between editions, and after the Errata to vol. 2 now available as a free download, will come Updates. These will appear elsewhere on the web. WorldWildlifeImages.com are copyright of the photographers: Andy and Gill Swash, Greg and Yvonne Dean, and Roger and Liz Charlwood.